New Year Open Day 2019! Genestealer Cults are getting a slew of new and interesting figures, and I just don’t know how to explain how excited I am for these guys! 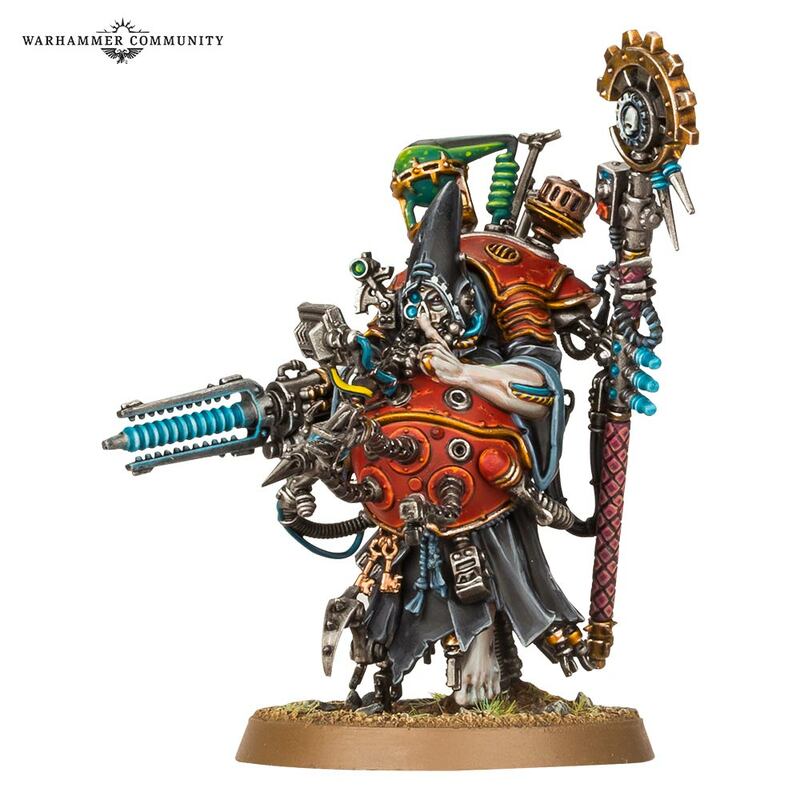 Well, the female magos seems to be a little pandering – I mean, the Magos from Overkill is a classic sculpt, I’m not entirely convinced by this one as she seems a little too… 1950s sci-fi? I don’t know. 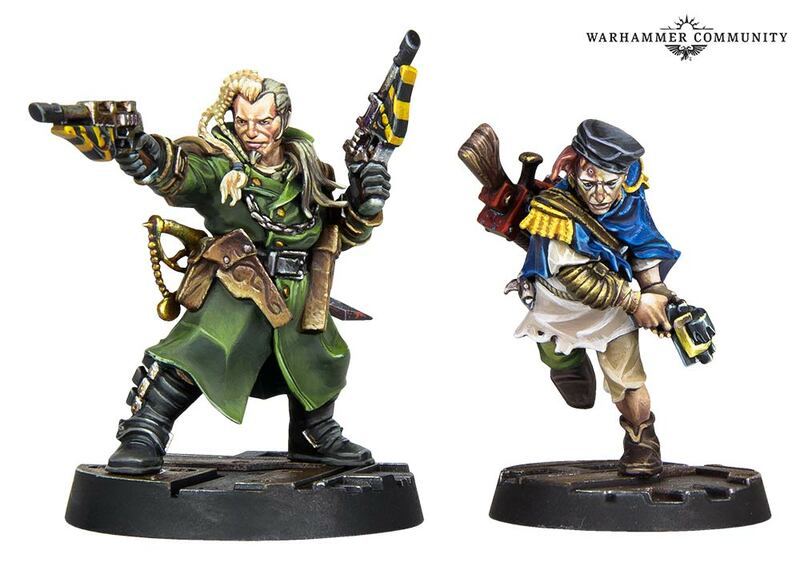 I really like the mysterious chap with his pimp-cane (seems like GW are really pimping it up after the Delaque chaps arrived) and the vox-hacker chap is also really cool. Not sure about the assassin-type model, either, but anyway. Someone on the GSC facebook page suggested these might come as something akin to the Court of the Archon for the Dark Eldar, which would make more sense than having a massive selection of different HQs to deal with, but I suspect we might have a similar situation to Space Marine Command Squads, where they’re now separated out into a number of elites slots rather than being fielded as a unit. But I would also like to see them packaged together and come as one, so hope springs eternal on that one. As well as the bikers, we’re also getting a new terrain piece, which I do like – hopefully we’ll be getting a lot more custom terrain for each force as time goes on. Necrons could do with having something interesting, I feel! It’s certainly an exciting time to be a 40k fan, that’s for sure! But 40k isn’t the only system getting the love, as we see a new Battle Box for Age of Sigmar coming out, featuring Flesh Eater Courts and Skaven! I’ve recently been thinking about investigating the little rats, as several of their models remind me of the Mechanicus minis, and I think that’s cool. I’ve been thinking about, but ultimately passing over, several of these boxes since we initially had Forgebane, but I think I might well pick this one up and sell off the zombie portion, instead getting a decent start on some Skaven models! 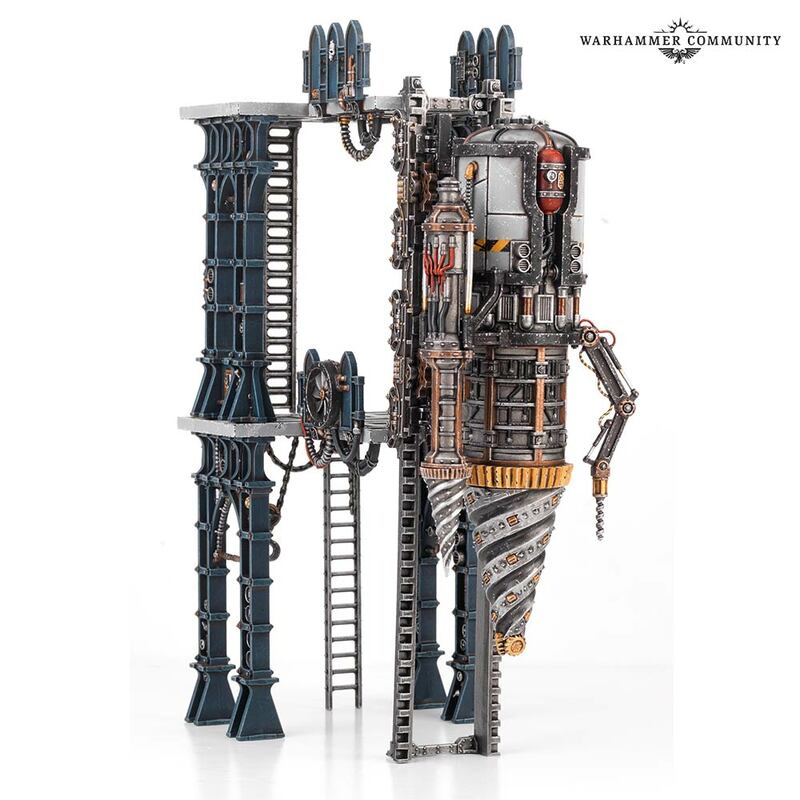 Looks like we’re getting Stormfiends, a Warp Lightning Cannon, a Doomwheel, and the new character model, the Warlock Bombadier. I find it a little bit odd that there’s no infantry for the box set, but then the Skaven models included come to £79.50 without the new character, so I suppose the set is going to retail around £90, and still provide a massive saving. Definitely one for the list, anyway! I’m also looking forward to some Grots, though given the sheer amount of new stuff being announced here, I think I’m going to not only be planning out very carefully what I end up buying, but also downsizing my collection of existing miniatures in order to make room! Back to 40k and Kill Team now, with a look at the next batch of good stuff. 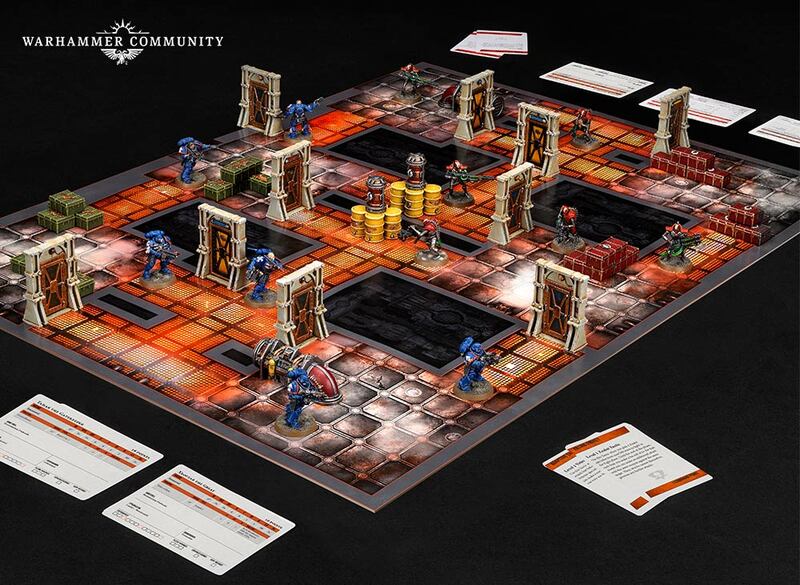 I’m not honestly all that sure about Kill Team: Arena, as it looks a lot like a rehashing of the Rogue Trader box. Maybe it’ll be worth it for the additional rules content, but the box size initially made me interested, then I saw that the terrain was mainly doors and barrels, with rules for fighting in close quarters. Well, I suppose it might be a cheaper price point than the Rogue Trader box, which might make it worth getting for some, but I might be holding off for the time being, until we see some more. 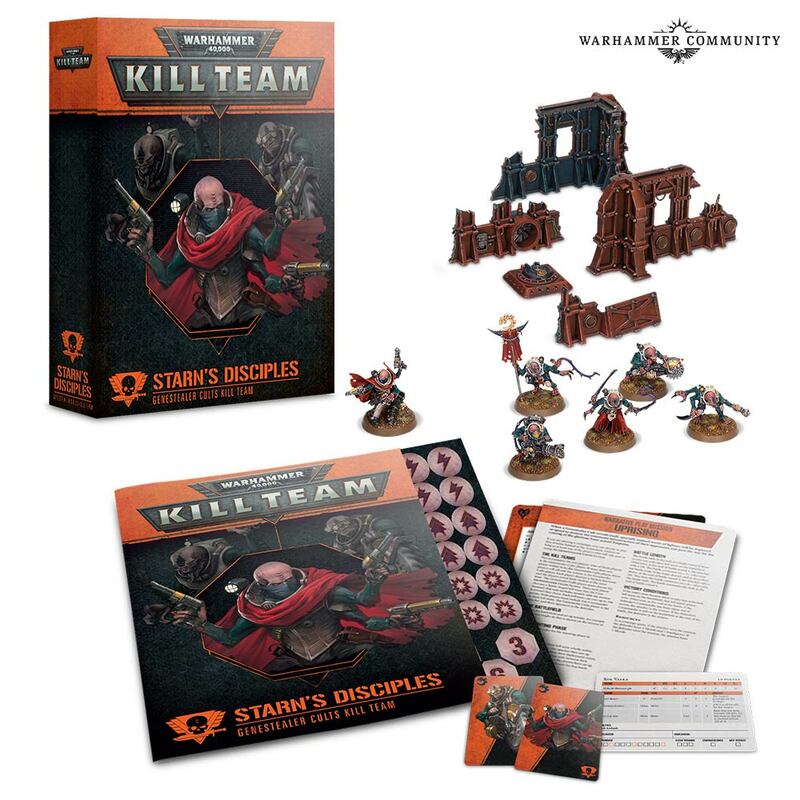 Interestingly, however, there are two new expansions for the two Kill Teams that came in the original box – an AdMech team that features Sicarians, and a Genestealer Cults team that includes Acolyte Hybrids. Both of them come with a Commander model, though, and the usual sheet of tokens and terrain and whatnot, but I find it interesting how we’re seeing the evolution of the different Team expansions from last year. Commanders is presumably a more integrated part of the game than we’d originally expected, and they’re using this game as a delivery method for new models for the regular 40k game, with the Cult Eastwood gunslinger Primus, alongside a new sort of Tech-Priest, the Manipulus. 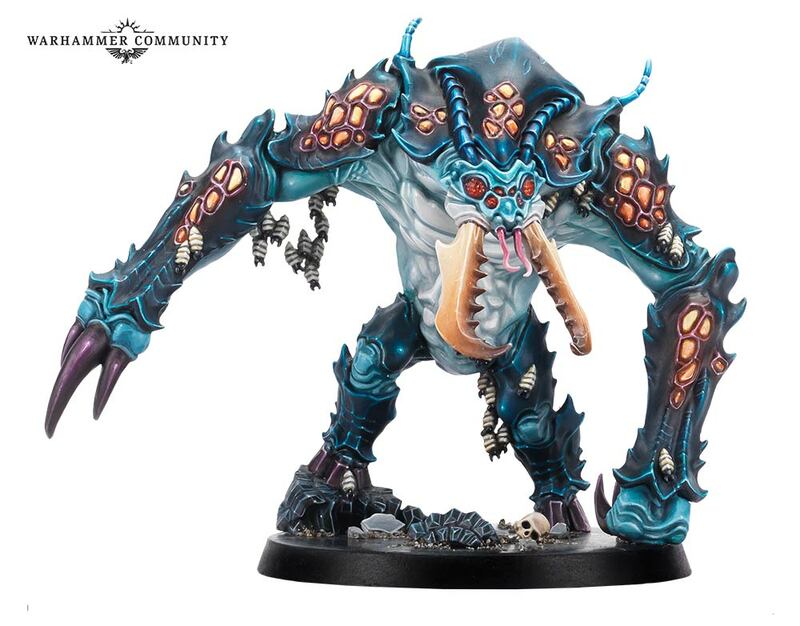 I’m not 100% sold on the latter, if I’m honest, as he does look a little too much like he was originally intended as a Nurgle model. But maybe he’ll be better in the flesh, or else with a little converting. I’m glad to see more for Kill Team, for sure, and I hope this new type of expansion could herald my idea for “famous teams” to come further down the line. I especially like the idea that they’re expanding the original two teams from the core set, as that is a fantastic way to build on last year’s box for people new to the game, as well as to get them hooked into buying more for regular 40k in true gateway-drug style! 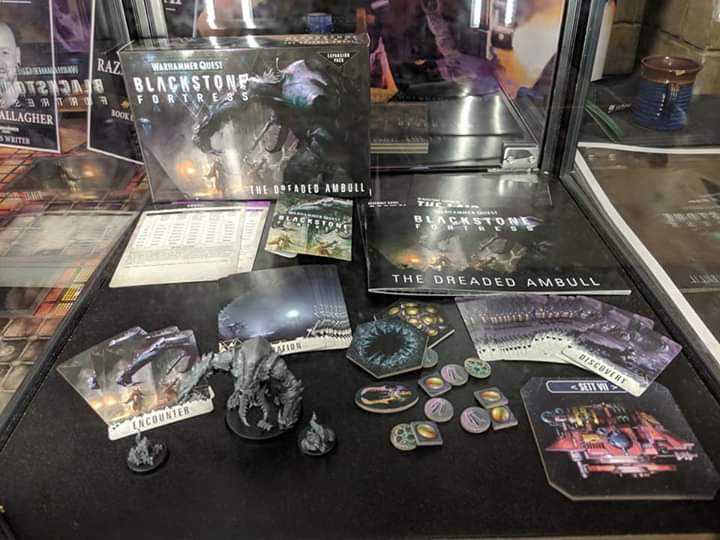 While that’s all for the stuff that grabbed my attention over on the Community site, there are a few other choice morsels doing the rounds of the internets, including an expansion for the Blackstone Fortress game! 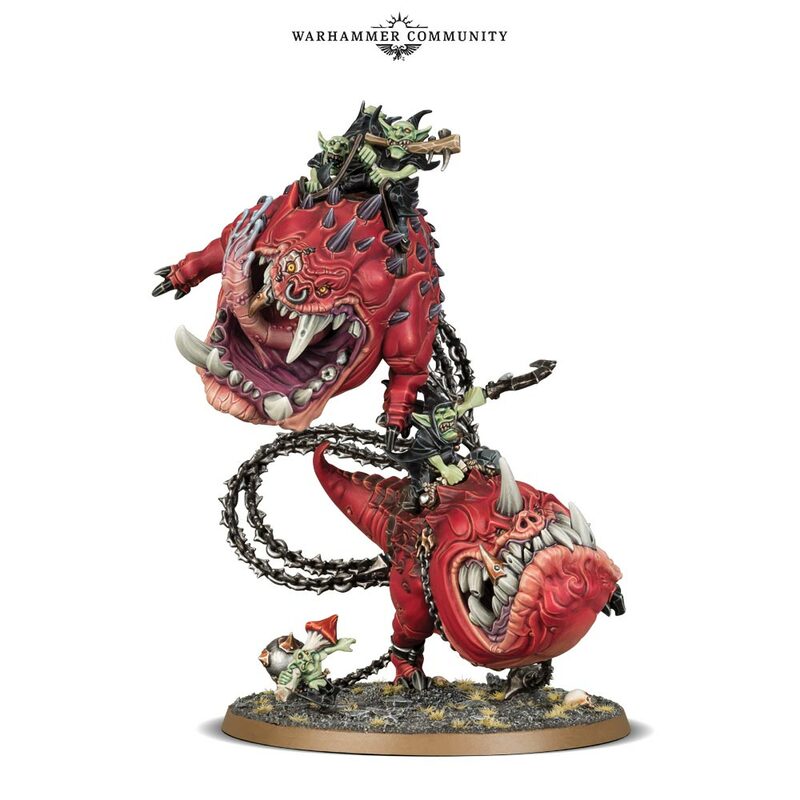 I’m not that old in the hobby to remember the Ambull from back in the Rogue Trader days, but this has got a lot of people excited! Looking at the additional contents in this picture has got me wondering, though – if we’re having a new ship tile, will we be getting a new Hero to go along with it? And there’s another mystery envelope in this one, as well! How exciting! 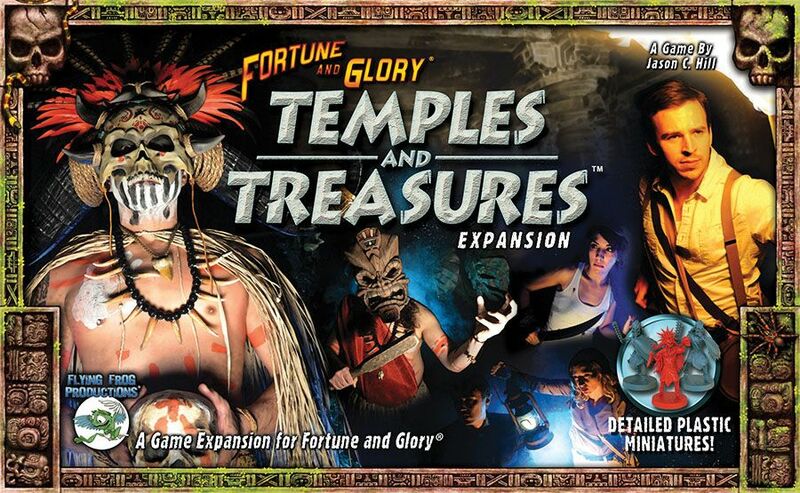 I really like the idea of this expansion, and it once again puts me in mind of Shadows of Brimstone, only done correctly. I mean, FFP have definitely worked their socks off for that game, and I don’t mean to be too harsh, but it just didn’t feel anywhere near as polished as it perhaps could have been, possibly due to the amount of stuff they had to do to fulfill peoples’ pledges. But that’s a topic for another blog! Finally (for now!) we’re getting two plastic Am-bots for Necromunda! Not the Adeptus Arbites, but it’ll do! Overall, it’s been incredibly exciting so far this New Year Open Day. I’m really excited to see what’s next from Nottingham, anyway! Author spalanzPosted on January 5, 2019 January 5, 2019 Categories WarhammerTags Blackstone Fortress, Games Workshop, Genestealer Cults, Kill Team, Necromunda, Skaven, Warhammer 40k3 Comments on New Year Open Day 2019! 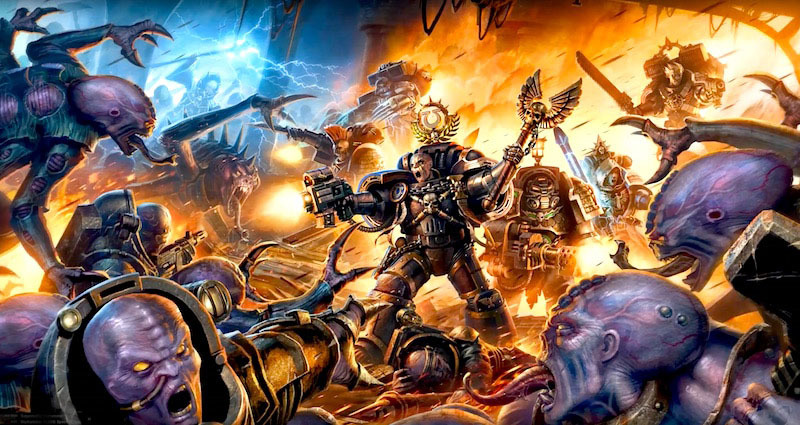 My recent return to the light of the Emperor with the Deathwing army that I currently have on the go has got me thinking more about the Imperium as a whole, and looking at the other armies on offer to us outside of the Dark Angels. From Deathwing, I started looking at the Deathwatch army that I had started to paint up over the summer of 2016, and there will be a blog coming shortly with some of my thoughts on those chaps, don’t you worry! But I’ve also started to think a lot about the smaller-scale stuff, and in particular, the Inquisition. This is a range that is quite woefully under-represented in 40k miniatures terms, which is odd considering the success of Dan Abnett’s Eisenhorn and Ravenor novel series. Most of the Inquisition line is made up of old finecast miniatures, with only the new finecast Eisenhorn mini and the plastic Greyfax that show any real attention for it over the past few years. It got me thinking about what GW have been up to, what they are up to, and what I think I’d like to see them be up to, based on the first two. The Inquisition dates right back to the original Rogue Trader years, where they would combat the myriad threats to the Imperium, most often rogue psykers (more on this in a bit). Further lore expanded on this, introducing secretive sub-factions, and produced the little nugget of information that one of their secret tasks is to discover the sensei. For those who aren’t familiar, the sensei are the offspring of the Emperor of Mankind, who possess the ability to hide from the warp and are something of a perfect weapon to use against Chaos. While I don’t know whether the current GW will want to pursue this storyline, I think it has some potential to advance the story of 40k, which does seem to be a current objective for the company, so whether we will see them reimagined for this, I don’t know. The popularity of the Inquisition has always seemingly stemmed from the specialist game Inquisitor, released in 2001 as a skirmish game roughly double the scale of “normal” 40k. It was this game that spawned Dan Abnett’s Eisenhorn trilogy, of course, and alongside several of Fantasy Flight’s RPGs, the popularity of the faction has bubbled along away from the wargame. 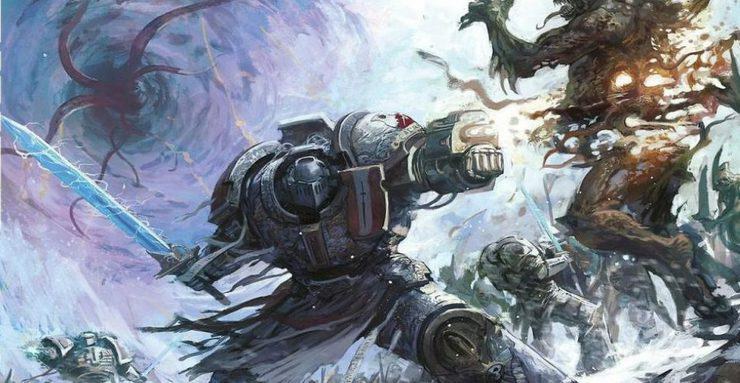 In terms of the regular tabletop 40k, the expansion of the Grey Knights in 2011 to have their own Codex seemingly overshadowed the rest of the Inquisition, though it does seem that 2016’s Deathwatch Codex may have helped to balance that somewhat. The Inquisition is made up of three major Orders: the Ordo Malleus (which deals with daemons), the Ordo Xenos (which deals with aliens) and the Ordo Hereticus (which deals with cultists). Each of these three has its own Chamber Militant: the Grey Knights, the Deathwatch, and the Adepta Sororitas, respectively. Now then, the Grey Knights have a decent plastic range of models, and the Deathwatch saw a new release of miniatures back in 2016. 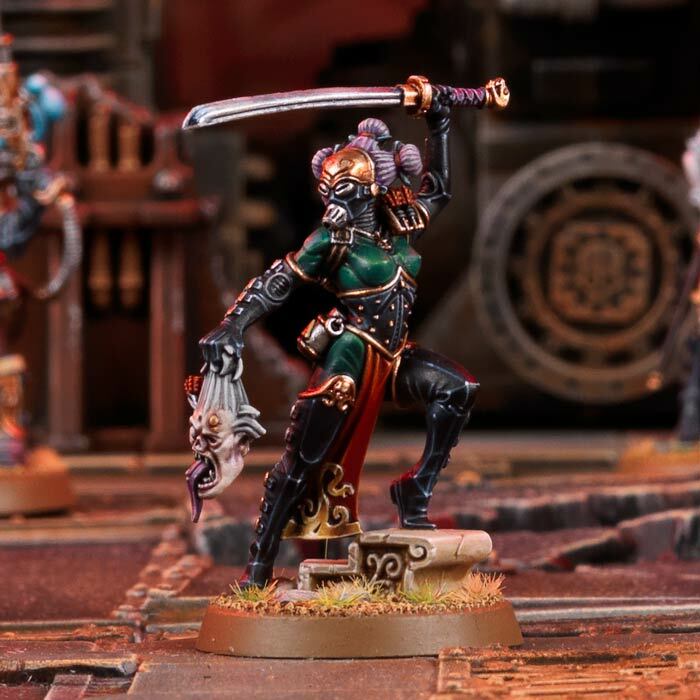 As has been well-documented by now, we’re expecting the plastic Sororitas range to arrive in 2019, with the current rumours pointing to sometime around October. With each of the Chambers Militant getting plastic releases, it’s gotten me thinking about when we’d be likely to see the Inquisition released in plastic sculpts to go alongside them. Deathwatch have been something of a surprise, to my mind, as far as the new releases go. We saw a glorious release back in 2016, starting with the boxed game Deathwatch: Overkill, and it just went from there in terms of the amazing things we’ve been seeing. Genestealer Cults are such a fantastic example of this, and now again with the Rogue Trader releases, that it makes me thing GW is, to some extent, committed to bringing out some of the more weird and wonderful aspects of the 40k universe, not necessarily always via the mainstream tabletop game. Within the space of months, we’ve seen two flamboyant Rogue Traders come out, surely it will only be a matter of time before we get the equally flamboyant Inquisitors in plastic?! Kill Team has already brought out so many fascinating sculpts with the Rogue Trader box back in September, and it doesn’t take a genius to see the possibility for a Kill Team: Inquisitor box to be quite the thematic expansion to that line. The fact that we have now got a plastic Death Cult Assassin in the Elucidian Starstriders makes me wonder if this is showing the possibility of further miniatures down the line. I know we’re wishlisting here once again, and most likely reading far too much into this, but I do like the idea that GW are perhaps testing the waters with these boxed games before going more down certain routes and creating miniatures on the back of those found in their specialist / board games. It’s not just limited to the Kill Team game, though. Blackstone Fortress is set to be a major source of new, previously-unseen miniatures that might not be expected to have a full-army release. The fact that the Inquisition has been said to predominantly tackle rogue psykers in the past (Eisenhorn does it quite often, as we know), and there are rogue psyker models in the core set, makes me fanboy-dream that we might see a new “team” of heroes to choose from – the Inquisitor team. It would be so straightforward to give us a new plastic Inquisitor model, with some warrior acolytes and crusaders, maybe some sort of arco-flagellant or death-cult assassin, and a preacher of a lesser rank than Thaddeus from the core set. Throw in an Interrogator or Null Maiden as secondary leader-types (yes, I just want Ravenor and Bequin!) Heck, I’m sure people would like to play the Jokaero if they could, as well! It would be straightforward as anything to reinvent the current finecast/pewter range as a plastic warband here. But I fully admit to leaping to this conclusion due to the tenuous link with rogue psykers, don’t you worry! I don’t claim to have any kind of special insight into the future for GW. I’m just a nerd with a laptop typing all this junk up as I think of it. But given the popularity of the Inquisitors as a faction, it seems just wrong that they have one plastic mini, one (hard-to-find) resin mini, and the rest of the army is dated as all hell. Most of the line is made up of finecast versions of the old metal miniatures from back in the 90s, which admittedly is something of an improvement on the current Sisters line, which is all metal (but we know they’re changing that). As it stands, we’re seeing a very slow drip-release of new miniatures that could potentially be used in an Inquisitorial retinue. Knosso Prond from the Elucidian Starstriders is a great example of this. Thaddeus the Purifier and Pious Vorne from Blackstone Fortress are also fantastic for making Preachers. Due to their heavy Redemptionist aesthetic, the new House Cawdor gangers could make excellent Warrior Acolytes. Without trying to read too much into these things, I do think it’s only a matter of time before we see the Inquisition brought back to life as a modern force on the tabletop. Again, without trying to read too much into anything, I’ve been flicking through the old Codex: Imperial Agents from seventh edition, and I find it interesting that a Sisters army back then wasn’t all-female. 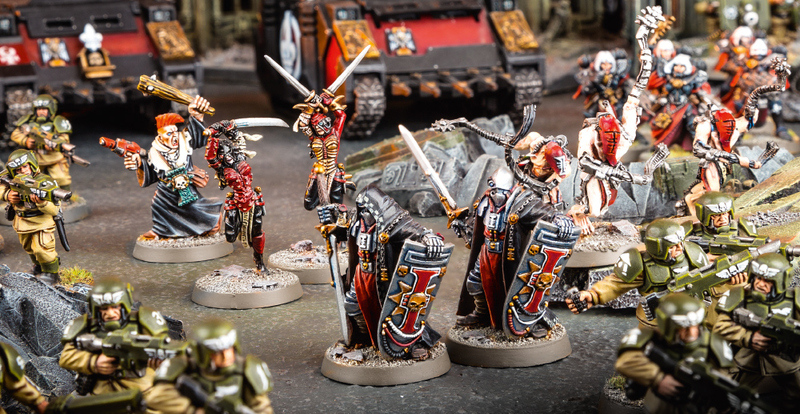 Ministorum Priests, Arco-Flagellants, Crusaders and Assassins all featured in the army list, which gives it a strong crossover to the Inquisition army list in the same book. Could we be seeing new models for these coming as part of the plastic Sisters army next year? Army releases for Games Workshop nowadays tend to be smaller affairs, with less of the more obscure elements like this. Since the announcement of plastic Sisters, I’ve been expecting a character or two, maybe two troops choices (multi-part kits?) and an elites choice. With maybe a heavy support/vehicle option. I’d not been expecting any of the, for want of a better term, “hangers-on” like the Priests. However, GW do seem to be treating this army project very much as an Event, and so it would perhaps be in keeping with that for them to go ahead and basically re-imagine the entire list, maybe even go crazy and give us entirely new units if they’re going to advance the fluff as well, and so in time we’ll be getting a whole host of new plastic goodness. 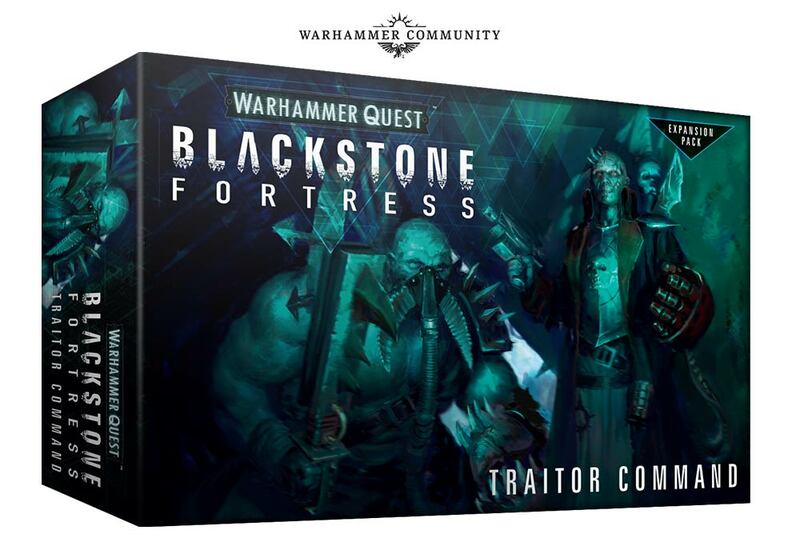 The rumoured release of October 2019 does also make me think that maybe, by then, they will have released a lot of the Blackstone Fortress stuff separately, so could potentially be tying-in with that. I wouldn’t have thought they’d attempt to cash-in with Sisters and give the option for a Priest that basically means players need to buy a Blackstone Fortress set for £95, but maybe we’ll be seeing multi-part plastic clampack releases for the heroes by then? On a side note, given the strong ties to both Grey Knights and Deathwatch, I’ve also been wondering if there will be rules to include special detachments of those forces, which won’t break your Battleforged army. Only time will tell! It’s definitely an exciting prospect, and one that I hadn’t really given much thought to until now! But what about Kill Team? However, the rumour of Kill Team: Inquisition is still floating around, with nobody confirming or denying this, but also no further information beyond the idea that it will be a thing. I do think that Rogue Trader and, by necessity, Commanders were both rushed out somewhat due to the leaks that predated the core set for Kill Team itself, so perhaps we shouldn’t read too much into this gap. I do hope that we’ll see an Inquisitor expansion, and that we’ll see it in the first quarter of 2019. 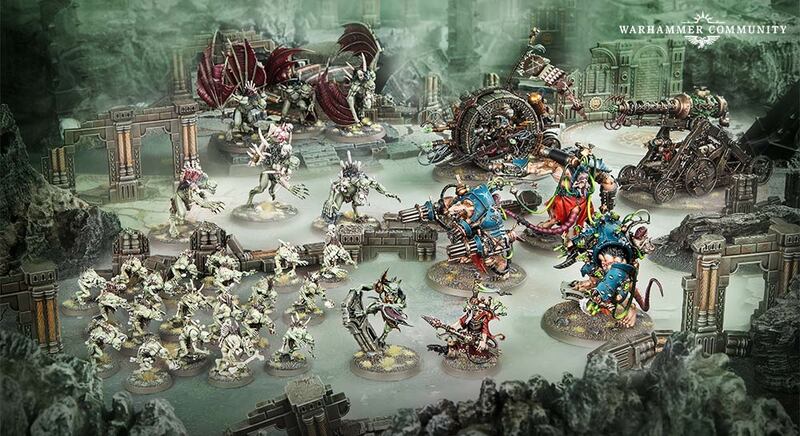 If we do get such a box, then, I’m really hoping for a similar look to the Rogue Trader line-up, with the Inquisitor and his retinue forming maybe a dozen models, facing off against perhaps 20 Cultists. While this would be a perfect opportunity to bring back those push-fit Cultist models from Dark Vengeance, I think that rant is for another blog. 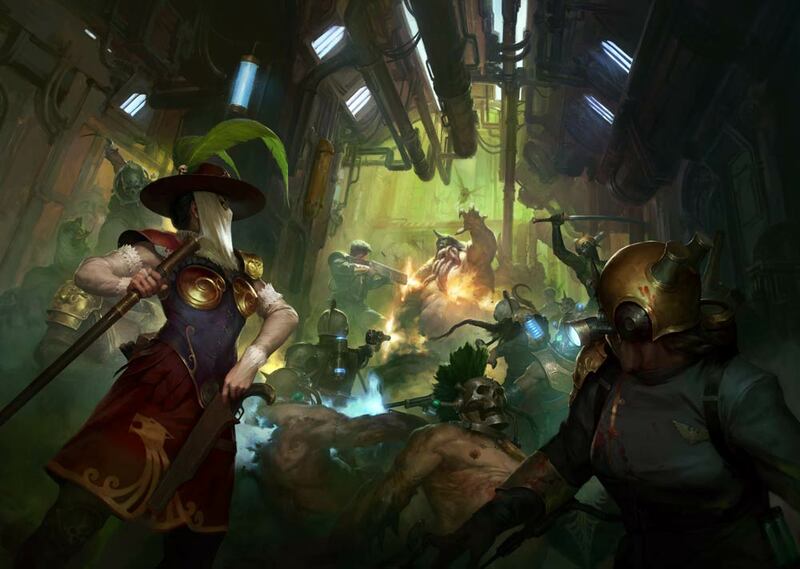 At any rate, we’ve had Chaos mutants in the Rogue Trader box – an Inquisitor expansion would be better served with some Cultists (I’d also like some form of xenos race, preferably a new race that we haven’t seen yet, but that would likely take too much time). Indeed, the crossover between Rogue Trader and Blackstone Fortress was enough that I think it could be a nice touch to continue the Traitor Guard aesthetic and provide more of that, with a varied band of generic Cultists, peppered in with a Rogue Psyker or two – it would be on-theme, after all! I am in danger of running away with myself on this (well, I’ve been running away with ideas for this entire blog!) But I do feel like there is the potential here for significant crossovers with actual Kill Team expansions like Rogue Trader and the Blackstone Fortress stuff. It would probably be too much to hope for some kind of expansion for the Starstriders and Gellerpox mutants in Blackstone Fortress, but I suppose you can never say what GW are going to do these days, as they have been coming up with some phenomenal releases of late, and I don’t think a lot of us could have predicted any of them, if we’re being honest. 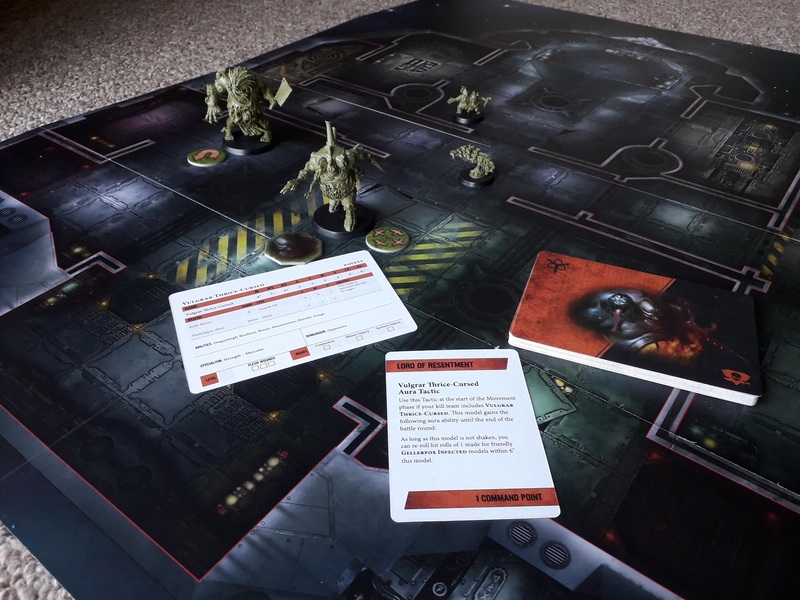 Who would have thought plastic Rogue Traders would ever see the light of the tabletop? At least we’re getting Kill Team profiles for the Blackstone Fortress minis, so we can (presumably) field a Kill Team of Traitor Guard and Rogue Psykers – which is quite an exciting prospect, given my desire to make a 40k army out of these guys! But so much of this blog has been me just wishlisting and fanboy-dreaming, I’m not entirely sure if any of it has been worthwhile reading! If you’ve made it through this far, thank you! There’s not a lot to take away from this, really, beyond the fact that I absolutely love the weird and esoteric corners of the 40k universe, and the arrival of first Kill Team: Rogue Trader, and now Blackstone Fortress has got my imagination doing so many somersaults and backflips with the amazing potential such boxed games hold for the expansion of the universe in plastic! I’ve been enjoying thinking about the possibilities for these things, though, and I really hope at least one or two of my ramblings might come true in the fullness of time! Author spalanzPosted on November 20, 2018 November 20, 2018 Categories WarhammerTags Adepta Sororitas, Blackstone Fortress, Deathwatch, Games Workshop, Inquisition, Kill Team, Warhammer 40k5 Comments on Nobody expects the Inquisition! 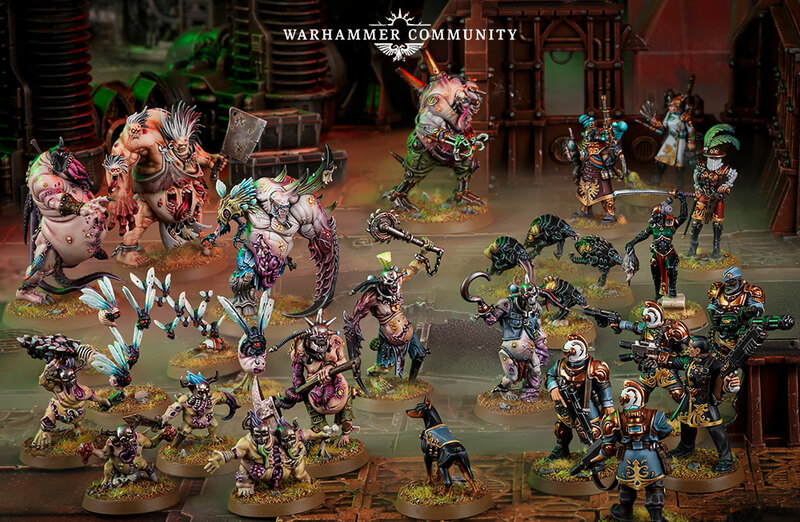 So the Kill Team train has been going pretty much full speed since the game dropped over the summer, and in addition to the main box and the first major expansion, we’ve seen a whole ton of re-packaged models alongside this, comprising, to date, four waves of models. 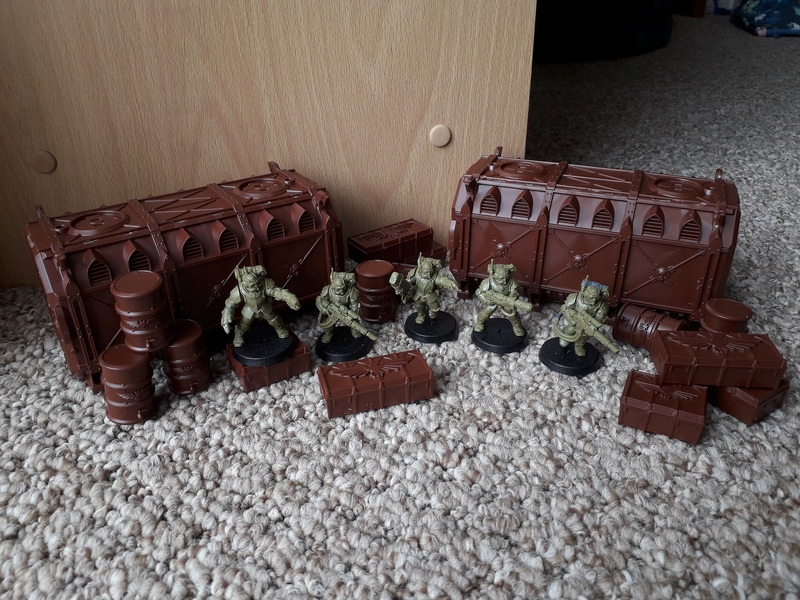 I’ve picked up a couple of these things now, so thought I’d come here today and ramble for a bit about my thoughts on the way Kill Team is moving so far. Each of these boxes includes a plastic infantry squad, a plastic terrain piece (or pieces), and the necessary rules bumph that allows you to use the plastic in your games. So in the above photo, we have a Drukhari infantry squad, which happens to be Wyches, alongside some Deathworld Forest terrain, and all of the tactics cards, squad cards, and tokens that we’d need to use these folks. 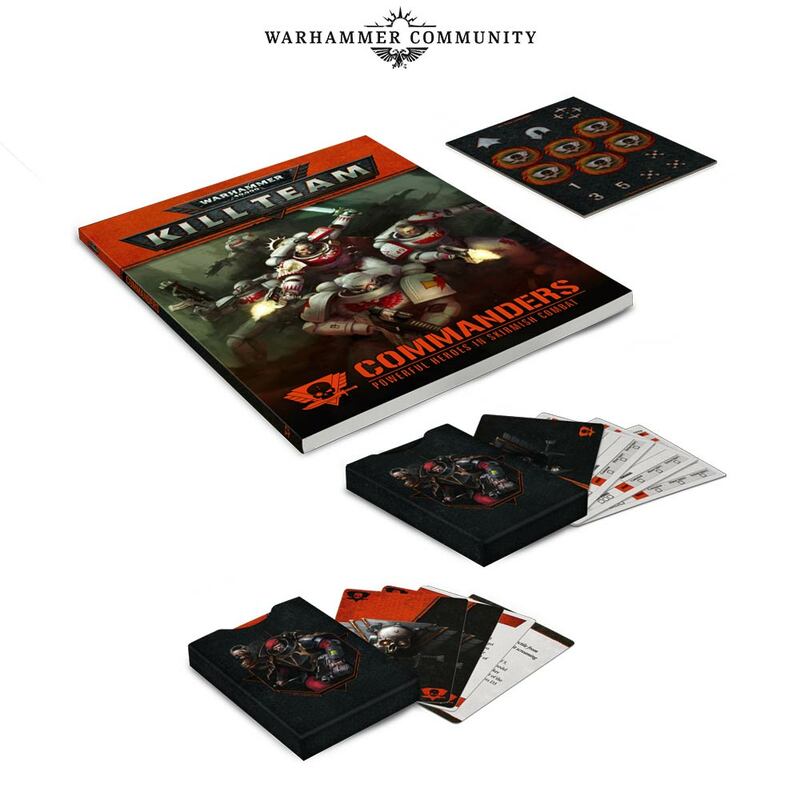 There are also two mission cards included that make use of the terrain – notably, they tend to include a requirement for more terrain than comes in the box – and a little booklet that has some fluff and a few photos of the fully built and painted kill team. Interestingly, the Drukhari kill team that they suggest you build – The Slicing Noose – is only 86 points in matched play. The T’au team is 94 points, and the Scions team 58 points. I find this interesting that the suggested teams don’t aim to maximise the 100-points available, though I suppose something like a five-man Scions team could never be very points-effective, given the costs of the units you can make with just one box of Scions. And it’s something that has been there since the core box, where the Ad Mech and Genestealer Cultist teams were not exactly points-efficient. This brings me on to a minor tangent that I’ve mentioned before, of course, but I’m still bemused to see mentioned around the internets. 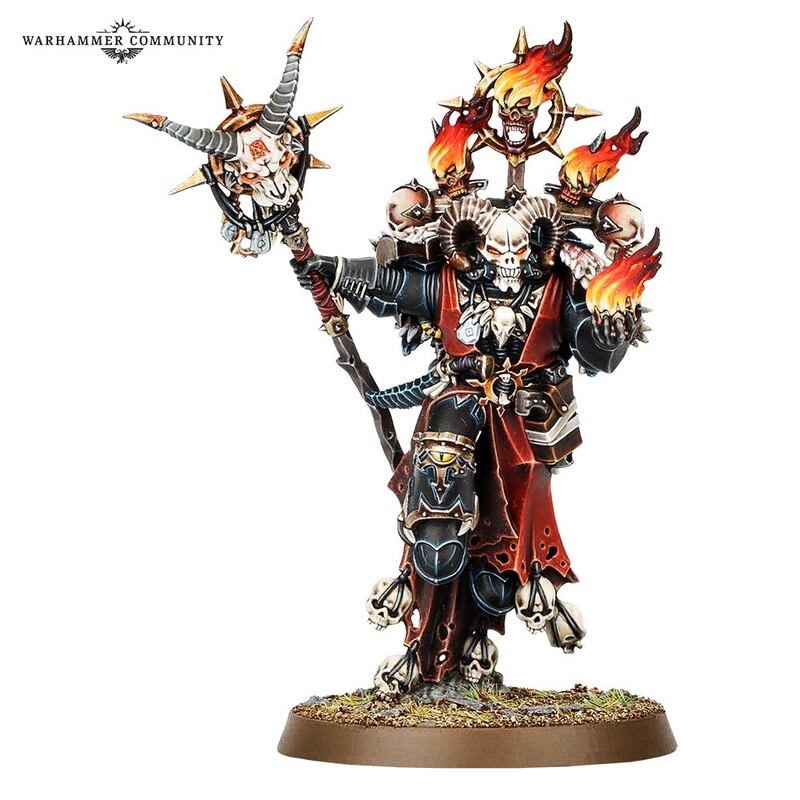 A lot of people seem to be genuinely baffled as to why GW are releasing the kill teams that they are – why not include more variety in the models? It’s been very clear since the core rules box came out that the “official” Kill Teams are comprised from single kits that are already available for 40k, so we won’t see a proper mix of units if you can’t make that unit from the whole kit supplied – I suppose in the case of the Necrons box, it got a bit confusing because there were Deathmarks and Immortals in the team. But enough of this rant! The boxes are, I think, pretty decent in terms of value for money. At MSRP, you’re getting a five or ten-man squad, all of their rules, plus some terrain, for a lot less than it would cost to get these things separately. The above Tempestus Scions box costs £30, and you get roughly £51-worth of models (I say roughly, because the Munitorum Containers box contains three sprues of containers, while you only get two of them here). There is a lot of value to be had by getting these things, and I’m really excited to see these sorts of products being made. There have been a few issues of course, notably the coloured plastic they use for the infantry feels somehow softer than the plastic of the regular kits, and the Scions in particular have some really terrible mould lines. 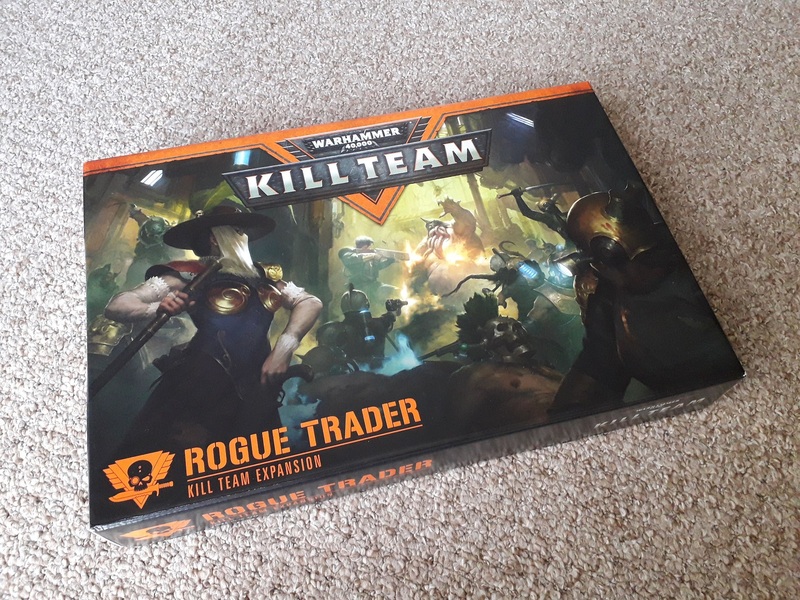 Re-packaged kits aren’t the only expansions to come for the game, of course – Rogue Trader landed last month while I was on honeymoon, and I managed to finally pick it up a couple of weeks ago. The set contains a whole load of new models – 33 of them, to be precise, along with some small-scale terrain that is mainly in the form of bulkhead doors and the odd treasure chest. I suppose the biggest thing about this is the fact that it happened at all, and brought the Rogue Trader, an iconic character class from the very earliest days of 40k, into the game with new models. The expansion is pretty much what I think a lot of us were expecting from the off for Kill Team expansions, if I’m honest. The main rule book includes the rules for fielding regular troops that we can already purchase, whereas this box is full of all-new stuff that we’ve never seen before. I suppose I was hoping for something a bit like Shadespire, where we get new bands of miniatures that come with everything we need to play them – whereas we get everything we need to play with pre-existing sculpts. 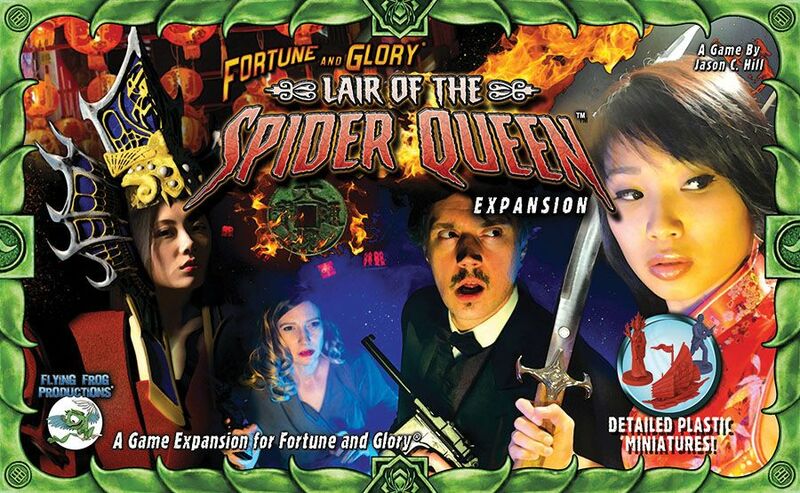 It’s a weird situation because, for the most part, we’re buying these expansion boxes in order to get the tactics cards and (perhaps) the scenarios to try. There are doubtless people who will benefit from these boxes who have not got the models either, for sure, but it does feel a bit weird when it comes to established players. I guess there’s an assumption that established players will be invested enough that buying five or ten more guys for an existing army is no big deal if they also want the tactics cards and scenarios. But I’m no business expert! So are the tactics cards worth shelling out £37.50 for? Let’s take a look at the Drukhari box again. In the core book, there are four tactics available, which play into the theme of the army being lightning-fast, as well as being vicious reavers from outer space. The box gives us six more tactics that can be used by Drukhari teams in any warzone, and one that is specific to there being an Eldritch Ruin on the game board. More on this in a bit. The six new tactics are a surprising bunch – two of them are specifically for Wyches (only one actually says it, Bloodied Grace, though there is the Hyperstimm tactic that affects any unit with the Combat Drugs ability – so, only Wyches). There are three more tactics that play into that lightning-fast theme of the force, and one that buffs Power from Pain, which both Wyches and Kabalite Warriors have access to. They’re a good mix, for sure, and they definitely give you some nice options that could potentially keep your guys alive, but I’m not sure if I would pay a premium to get them. Of course, the argument has already been made that you’re basically getting most of the terrain and all of the accompanying paper stuff for free when you buy these boxes, but that isn’t the only way we should be looking at these things, after all. I think a lot of the Kill Team experience boils down to just that – the experience. We’ve seen GW selling us this sort of thing before when they have major new army releases, where we have to get the exclusive codex and the dice and all the fancy stuff. 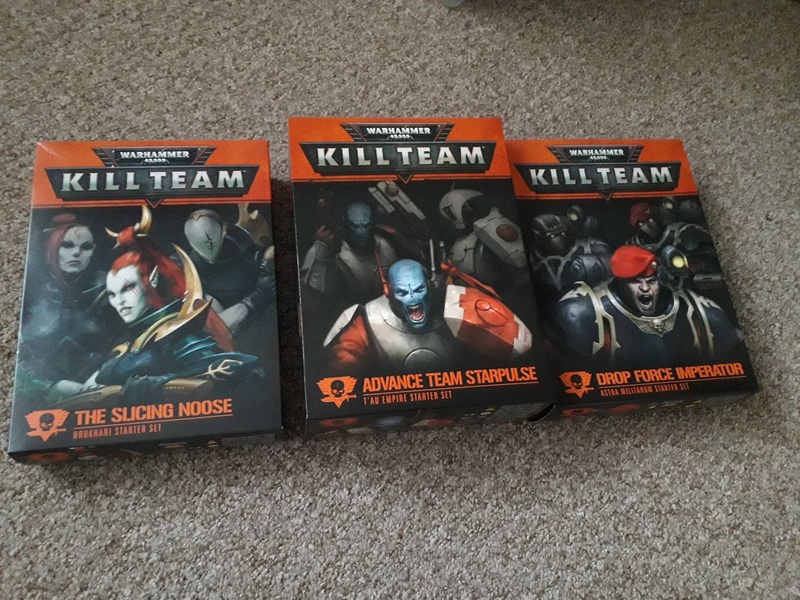 The fact that Kill Team comes with so much more gubbins than we’re used to in regular 40k is perhaps making this more obvious, as we have the faction-specific cards and tokens as well in these boxes. It’s in this respect, I think, that Kill Team comes very close to Shadespire, as we have the opportunity to make that sort of statement with our collections – we want to play Kill Team using our faction-specific cards and dice and tokens and all the rest of it, because we are that faction. It’s a really interesting way of selling these sorts of games, to me, because I am so often sucked-in to this whole experience! I’ve been collecting everything for Necromunda since day one, so have all of the gang-specific stuff even for those gangs I have no interest in playing! I just want that experience (and of course, I am a completionist). This post has been really long and quite rambling, so I’m going to draw it to a close now. Suffice it to say, I feel both excited about how much we’re seeing to support Kill Team, while at the same maintaining a decent cynicism about the whole repackaged theme that GW have got going on here. 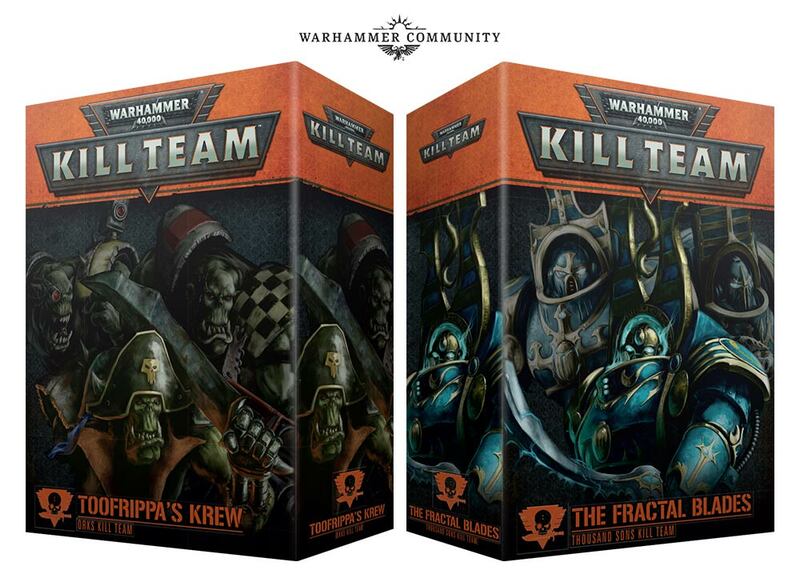 I really hope that we can see more unique products for Kill Team in the future, once the initial flurry of releases is over and each faction has had their kill team specific box. They don’t have to be particularly huge expansions like the Rogue Trader box, either, but just unique sculpts for existing bands of minis. Maybe that’s how we’ll eventually get new models such as new Chaos Space Marines, or plastic Flayed Ones. I’m really hopeful that Kill Team: Inquisitor will turn out to be a thing, and I would love to see similar styles of releases in the future, with specific warbands pitted against one another. Before I do close this blog, however, I feel that I have to mention this bad boy. Up for pre-order this weekend, there’s a significant part of me that feels like this is getting a bit out of control. 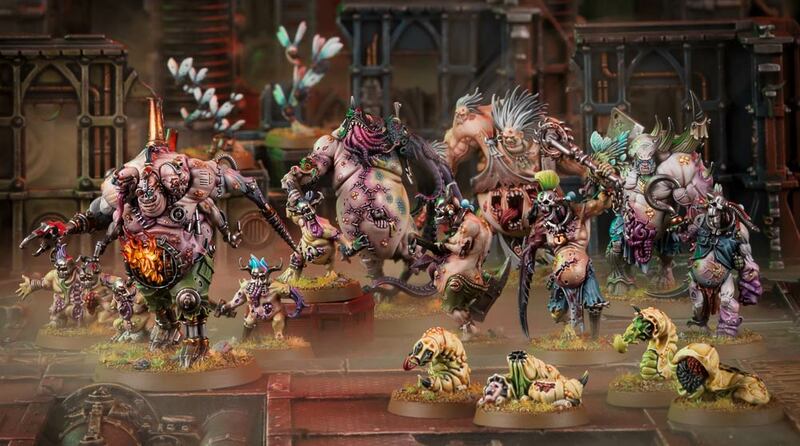 Gone is the idea of having a small team of five or ten models – games are now running to 200 points, and being led by such luminaries as a Genestealer Patriarch, or a Necron Overlord. What, now?! What happened to the small-scale skirmish?! 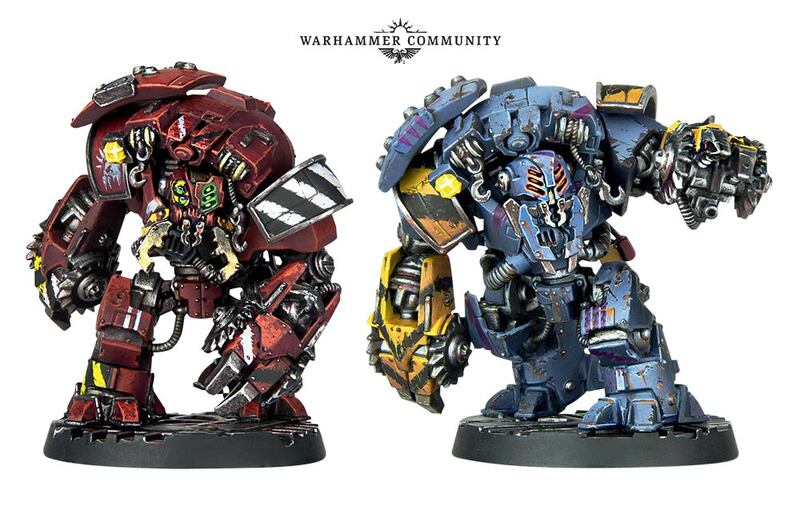 I mean, for sure, it’s entirely plausible that kill teams can be led by these HQ choices – you can come up with all manner of fluff such as the big guy is out with his elite bodyguard cadre, or whatever, but as many people have already said, where is this going to end? Is the next thing going to be vehicles? Will I end up being able to bring an Annihilation Barge? 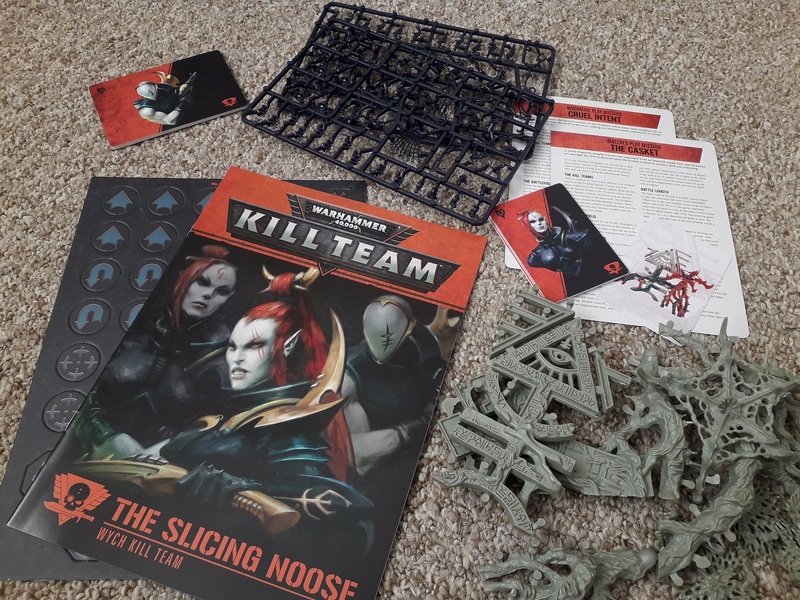 It’s been a couple of days now since we’d seen the reveals of the next wave for Kill Team, so I thought I’d pop along here and take a look at what we can look forward to coming in the next few releases for the increasingly-popular skirmish game! First of all, of course, it’s Kill Team: Commander. Already hinted at in the Rogue Trader expansion, Commander brings HQ choices to the game in what is, for me at least, quite a surprise move. If I’m honest, I’m still not entirely sure how I feel about this new development, though for sure I’ll be picking it up in due course! From what we’ve seen at the Kill Team Open last weekend, we’re getting a wave of HQ choices that, crucially, are all available in plastic already, in named-hero boxes that will be packaged along with command cards or whatever they’re going to be called, in a similar fashion to the expansion boxes we’ve already seen. We’re getting a Succubus for Dark Eldar, a Fireblade for Tau, an Overlord for Necrons, etc etc. It’s all a bit weird, somehow – when I first heard about the Fireblade, I thought sure, that sounds okay. He’s a tier-two sort of HQ choice, not the sort of flashy thing that a lot of armies can get. But the Overlord for the Necrons is pretty much the pinnacle of HQs for them. So it seems much more driven by what is available in plastic already for the faction, rather than what would fit the bill of a small-scale HQ choice who could be used in specific missions. It feels weird to me, I think, because I like the idea of a Kill Team being led by the Leader that you choose when you’re making your initial list. It’s a mechanic that I had somewhat hoped wouldn’t be a huge deal when reading through the Rogue Trader book, but instead, I’m guessing these guys will be used a great deal more to build the team around, rather than only being taken in specific instances. But what do I know – the expansion hasn’t even been released, yet! 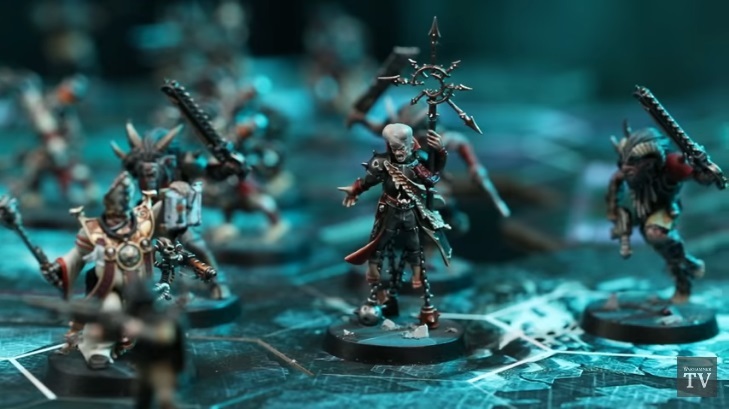 For more information, be sure to head over to Chapter Master Valrak’s video on youtube, where he also mentions Kill Team: Inquisitor, which is basically a no-brainer, and will hopefully be a thing before too long! Also on the radar, the more immediate radar this time, are the next Kill Teams to be released: Necrons and Tau! Having already picked up the Militarum Tempestus box, and having the Dark Eldar one waiting for me at the store to collect, I feel like I’m going to be very busy as I try to keep up with releases for my armies! More so than with Dark Eldar, these boxes are definitely ones that I can get behind. It’s always useful to have more Fire Warriors, and I use Immortals as my basic troops, so I’m happy to see those instead of Warriors for the Necrons! I’ve not yet been happy with any of the Necron builds I’ve tried, but I’ve been thinking a lot about Tau kill teams lately, so have got a couple of things that I’m hoping to try out soon enough! The Wall of Martyrs killzone is something I don’t think anybody imagined would be up next, though I guess it does fit with GW repackaging all of their scenery into these things, and I have toyed with getting the Imperial Bunker as something to just have to paint, so I’m thinking that this will be the first Killzone I will be getting – the Mechanicus and Munitorum zones I just bought the cards and board, not wanting to add to my scenery backlog! I am a bit surprised at the pace of new releases for this game, as it has only been out for, what, two months now? We’ve already had so many things released, with the promise of yet more to come, that I find it difficult to see how GW will be supporting the line “for a long time to come”. I would assume, though, that the model will turn into something along the lines of the Rogue Trader box every once in a while, because I’m not sure how often people are going to be wanting to buy repackaged miniatures just in order to pick up a few tactics cards or whatever. The current model cannot be sustained for the long-term, and I think it would be particularly foolish if, for instance, once they’ve released the last Kill Team box in this current run, they then start over with alternative models for existing factions – so the next Tau box will come with Pathfinders, the next Dark Eldar box will be Kabalite Warriors, etc. Someone mentioned expanding beyond the core manual, though, and having Fast Attack or Elite choices being introduced in a measured manner. I would love to be able to have a Crisis Battlesuit team – provided it was done intelligently, and allowed for some awesome narrative gameplay. Whether we get that sort of thing through something like Kill Team: Heavy Hitters, I don’t know. But it would probably be more of a headache to try. Something that is very clear, though, is that GW have every intention of keeping the expansion releases as finecast-free as possible, so everybody complaining about the Necron box not having Flayed Ones is a little bit misinformed if they genuinely thought it would happen. Heck, every box released so far has been simply one plastic squad of either five or ten models that comes in its own box anyway, and a piece of terrain. Why people would think you’d get two Immortals and three Flayed Ones is just beyond me! 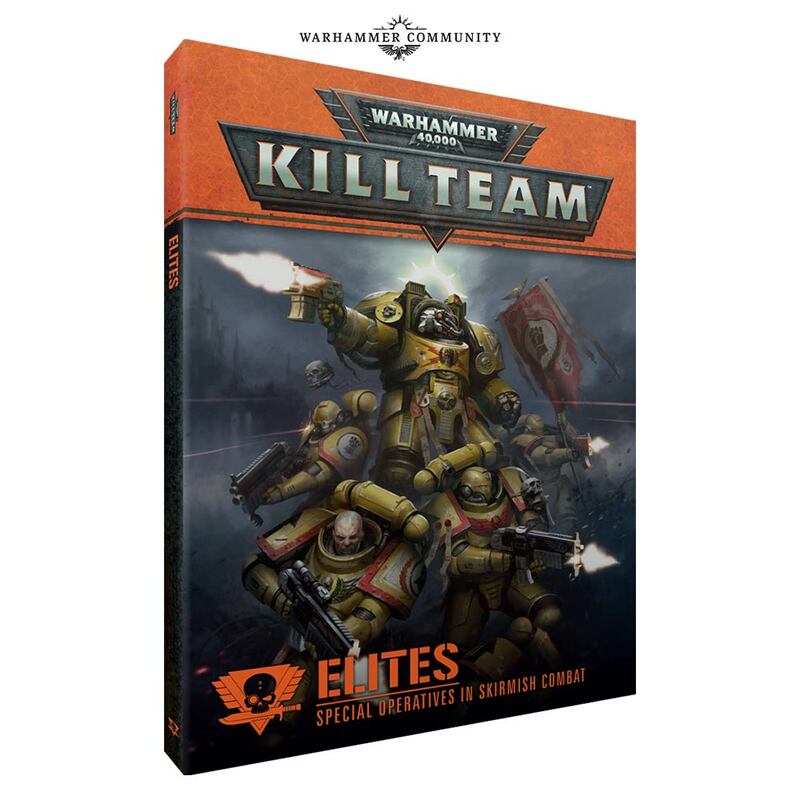 Author spalanzPosted on September 24, 2018 Categories WarhammerTags Kill Team, Warhammer 40k4 Comments on More Kill Team expansions!